Yet, it is not so much the tests we dread, but rather the trip to the lab, usually at the hospital. We know we will have to find parking, find our way to the lab, wait for no telling how long, then make another, separate appointment with our doctor to get the results – and this is for a simple, routine lab test. 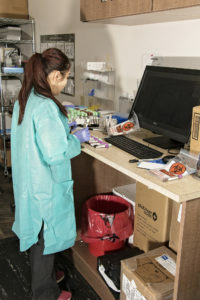 Sure, the Kymera Independent Physicians Lab has all the important credentials, accreditations, certifications, and such (COLA, CLIA), but we also have something far better – a clock. Most medical labs seem to forget that their patients have lives. At Kymera, we built a lab here so our patients could get faster results with less hassle. The staff of Kymera’s Laboratory Department is professional and service-oriented using a wide variety of state-of-the-art analyzers and industry-leading techniques. Our full-service lab covers all of your blood and urine analysis in one easy and convenient location, with many same-day results. 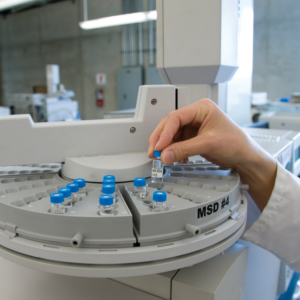 What Kind of Tests Does the Kymera Independent Physicians Lab Provide? ANA Test – Antinuclear Antibody test is common for diagnosing certain autoimmune disorders like lupus or Sjogren syndrome. BMP Test – The Basic Metabolic Panel is used to provide valuable information related to patient metabolism; electrolyte levels, kidney function, acid/base balance, and blood glucose levels can all be determined via this lab test. CBC Test – The Complete Blood Count is used to screen or diagnose conditions affecting blood cells. These can include cancer, anemia, infections, bleeding disorders, or any other condition of which your physician may have cause for concern. CMP Test – The Comprehensive Metabolic Panel is used to test for electrolyte and other metabolic balances in the body; most often to check blood glucose levels, protein levels, or monitor conditions such as hypertension and medications. Flu Test – To test for Influenza A and B.
Glucose Level Screening – A simple test for blood sugar levels or screen for diabetes or prediabetes. HIV Antibody Test – A test to determine if a person is infected with the human immunodeficiency virus (HIV). Lipid Panel – Also known as a Lipid Profile, this test can help your physician assess your cardiovascular disease risk or for monitoring treatments. Microalbumin, Urine Test – A test used in the early detection of kidney disease, especially in patients with diabetes or another risk factor. Pap Smear – Also known as a Cervical Smear, this test allows physicians to identify the presence of cervical cancer cells and some uterine or vaginal infections. PSA Screening – The Prostate Specific Antigen test is used to detect prostate cancer in men, determine the need for a biopsy, monitor treatment response, or detect recurrence or cancer of the prostate. PT Test – The Protime or prothrombin time test helps detect bleeding disorders or excessive clotting; it is especially useful in monitoring how well warfarin is working. TSH, High Sensitivity Test – The Thyroid Stimulating Hormone test is used to diagnose or monitor autoimmune diseases of the thyroid and help guide treatment decisions. Urinalysis – This test can be used for many purposes including the diagnosis of several diseases or conditions as well as monitoring especially kidney disorders. Urine Drug Test – Most often at the request of employers, the urine drug test is one of the most commonly-employed tests in the United States today. our facility is easy to find and has wheelchair access. At Kymera Independent Physicians, we pride ourselves on advanced, compassionate care and treatments. We hope we have been able to answer many of your questions about visiting our lab. If you are a patient or considering becoming a patient know that we are happy to answer all your questions to your satisfaction. We know that getting tests done is not the way you would like to spend your day, so we promise to take care of you in as timely a manner possible. With convenient locations, Kymera delivers a better healthcare experience. Get in touch today using the numbers listed below if you need to have lab-work done.